Craft beer tours give visitors a chance to learn how these beers are made, while visiting the small breweries responsible for these tasty beverages. Tours not only create an opportunity to sample an eclectic assortment of beers, they are also an excellent way to explore the local area with friends, as you migrate between breweries and bars. Before embarking on your next craft beer tour, consider familiarizing yourself with some commonly used industry terms to better understand the brewing process. Wort is unfermented beer, thus does not yet have alcohol in it. The starches of the grain are mashed into sugar, before hot water is added to create the thick, sweet wort mixture. Next, hops are added to balance out the sweetness, and the wort is cooled. Finally, yeast is added, beginning the fermentation process that ultimately establishes the drink’s alcoholic content. Often abbreviated to ABV, alcohol by volume describes the percentage of a beer that contains pure alcohol. Craft beers, in particular, tend to be in between six and eight percent ABV, though some brands fall within a higher range, between 12 and 14 percent ABV. 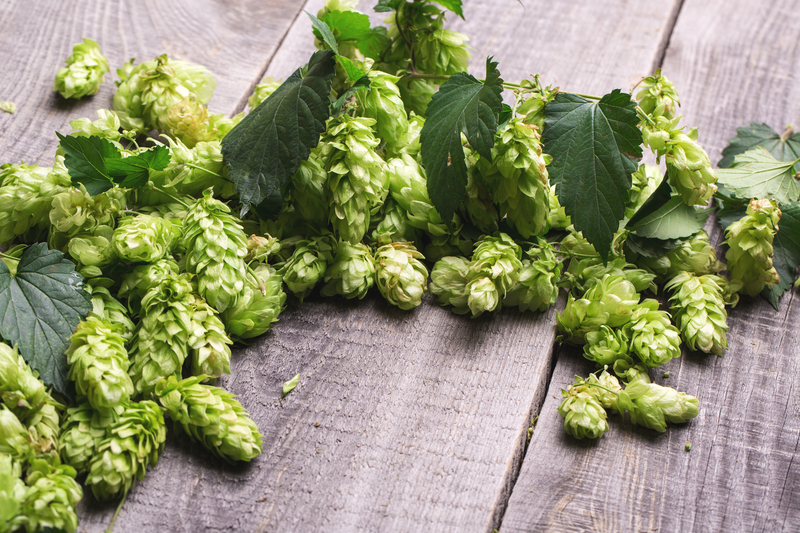 Hops are the light green, cone-shaped flower of the hop plant. These flowers are full of alpha acids, which serves as the bittering agent in beer to balance out the sweetness from the grain. Brewers get hops in the form of pellets, and your beers will have varying level of hops. For example, in India pale ales (IPAs), are known for their strong, “hoppy” flavor. Other beers, such as stouts or hefeweizens, have less of the bittering agent. Dry hopping describes the practice of steeping hops in the beer after its initial fermentation. Because the hops aren’t boiled, the beer retains the aroma of the hops, without adding bitterness to the flavor profile. An additive is anything added to the beer to accomplish a specific purpose. The types used will varying depending on the brewery and beer type. For example, as most craft beer aficionados will tell you, a foamy beer is a funky beer. Fortunately, propylene glycol alginate is an additive that, when introduced to a brew, stabilizes the elements that would otherwise trigger the generation of excessive beer foam—or head, as it’s referred to in the industry—deterring its development as the drink is poured. If you’re looking for an exciting and interesting way to see the Cincinnati, OH, area, take a craft beer tour with Cincy Brew Bus. A one-of-a-kind experience, tours provide fun insight into the brewing process behind local craft beers. Enjoy behind-the-scenes tours of the city’s top breweries, trivia on the beer tour bus, and take-home souvenir glasses. For more information on tours, check out their website, or call (513) 258-7909 to reserve your spot on the next craft beer tour.